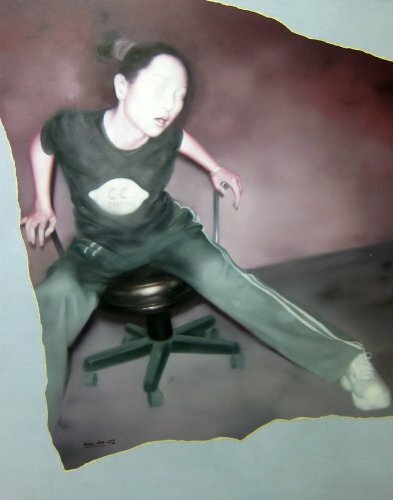 For more than a decade He Sen has created provocative and large-scale works that portray youth struggling in China’s fast-changing modern society. Mostly depicting women smoking in their homes, these youths are presented in seductive underwear and poses, in contrast to their bodies & facial expressions, which are ashen grey and lacklustre. 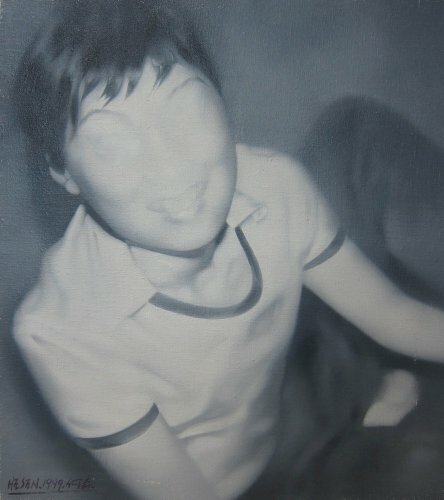 These blurred photorealistic images explore how China’s youths were seduced by the growing influences of westernisation and globalisation, as well as the artist’s pessimistic outlook on this generation. His later series continue to investigate the complex identities of these young people with the addition of stuffed animals juxtaposed with sexually charged poses of self-conscious looking girls – further highlighting the uneasy transition from childhood to adulthood. 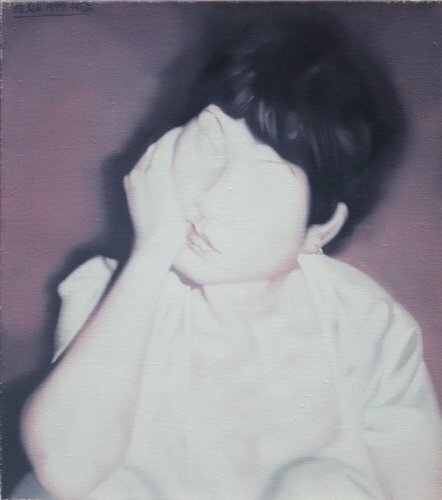 Instead of blurring their facial expressions as he did in his earlier series, He Sen chose to render their bored, melancholic mood or occasional vacant smiling expressions in striking details. More recently, in a twist of nostalgia and sentimentality, He Sen has turned to reinventing classical Chinese landscape paintings, replacing his figures with such symbols as bamboo and pine.